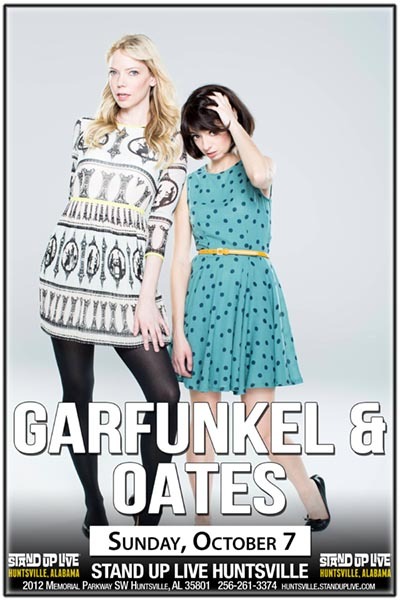 Garfunkel and Oates are a musical comedy duo comprised of actresses Riki Lindhome (Another Period, Brooklyn Nine Nine, The Muppets) and Kate Micucci (Don't Think Twice, The Big Bang Theory, Raising Hope). They’ve appeared on The Tonight Show, Late Night with Seth Meyers, and Conan and have a special on Netflix, Trying to be Special, as well as a Comedy Central Half Hour Special. Their albums Secretions, Slippery When Moist, All Over Your Face, and Music Songs are all available on iTunes.